Canada is not a mainstream country for Forex broker regulation, and it is certainly not the ideal choice for Canadian traders due to a slew of recent regulation changes. In the recent past, Canadian traders were not required to trade the Forex market or any other OTC derivatives with IIROC regulated brokers; however, a change in regulations have stopped several brokers from offering their services to Canadian citizens. Overseas brokers may offer Forex trading products by conforming to IIROC guidelines on Forex trading, which severely limits the freedom required to trade the Forex markets. Forex brokers in Canada are regulated by different regulatory agencies that are located in the various provinces of Canada. Canada is perhaps the most complicated countries in the world regarding Forex broker regulation that require brokers to adhere to different regulatory guidelines and different authorities to be able to operate in the country with a valid financial license. The increasing complexity of setting up a brokerage in Canada is one of the main reasons why a majority of companies choose to set up their brokerages in different countries and cater their products to suit Canadian regulatory requirements. The availability of different regulatory organizations and its constant internal tussle has resulted in a confusing regulatory environment, which has prevented Forex traders from enjoying a stable environment. Therefore, even though traders are restricted from signing up with overseas brokers, traders do exploit a loophole that enables them to sign up with international Forex brokers and trade the Forex market without any restrictions. 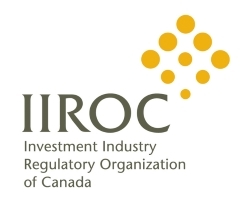 The IIROC is a relatively newer regulatory organization that was formed on June 1, 2008, and was established after a merger between the Investment Dealers Association of Canada and the Market Regulation Services Inc. IIROC is responsible for supervising and regulating investment dealers, along with regulating the Canadian debt and equity markets. IIROC also monitors Forex brokers and firms that indulge in OTC products and its derivatives. The IIROC was a relatively great regulatory organization up until their recent regulation changes. Canadian authorities have tried to follow in the footsteps of the CFTC and NFA by imposing several trading conditions on Forex trading. Although the US authorities were responsible for lowering the leverage in Forex trading, IIROC took it down to another level by reducing the amount of leverage drastically. Forex traders were very apprehensive about the changes, which forced several Forex brokers in Canada to revise their trading conditions to suit the new IIROC guidelines. IIROC is also one of the very few regulatory agencies that stipulate a significant amount of compensation to its investors in the event of a broker ending up declaring bankruptcy. The Canadian Investor Protection Fund (CIPF) compensates every trader with up to $1 million dollars if a broker is rendered insolvent. The immense protection provided by the IIROC for trading capital up to $1 million is a huge advantage for large traders who have invested heavily in the Forex markets. The severe changes in trading environment resulted in several brokers winding up their businesses in Canada, as it became too difficult to justify the costs of trading. Several brokers also experienced decreased response from Canadian traders, as more restrictions meant that traders were more interested in signing up with international Forex brokers that did not follow the guidelines imposed by the IIROC. Is It Legal To Choose Forex Brokers Not Regulated By The IIROC? It is against the IIROC rules for a trader to choose a broker not regulated by the IIROC, but the existing rules in Canada related to the confusion regarding its different regulatory agencies do help traders to choose an overseas Forex broker without any immediate repercussions. As long as Canada continues to have multiple regulatory organizations monitored by the different territories, Canadian traders may trade with any broker in the world; however, traders are expected to analyze the legal ramifications before investing with a global broker. Canadian traders should consult with their legal advisors and other financial experts to determine the legality of trading with overseas brokers, and whether they are expected to trade the Forex markets only through IIROC regulated brokers. There are no existing Canadian laws that prevent traders from sending and receiving money from international brokers. Nevertheless, all market participants are required to satisfy all anti-money laundering policies while sending and receiving money, which is a prerequisite with most regulated brokers from around the world. Eventually, the trader is expected to do his homework and understand all aspects of Forex trading before making the decision to choose IIROC Forex brokers or an overseas Forex broker. Is IIROC Strict In Enforcing Its Guidelines? IIROC is very straightforward in its broker regulation and expects its member firms to adhere to the regulatory guidelines imposed upon them by the IIROC. IIROC has a regulatory framework that is similar to the ones that are usually adopted by renowned regulators; therefore, IIROC has some form of credibility in the market. Most mainstream brokers often become a part of the IIROC or its regulatory counterparts in other provinces to cater exclusively to traders from Canada. Some of the larger Forex brokers have representative offices in different parts of the world, which allows them to personalize their services according to the geographic location. Therefore, most mainstream FX brokers usually have a valid IIROC license or a Canadian financial license from any of its other provinces. Forex brokers in Canada are regulated by any one of the 11 different regulatory authorities, including the IIROC. Each regulatory organization acts as an independent Self-Regulatory Organization and has an elaborate internal framework of operations along with a dedicated team of finance professionals that have years of experience in regulating financial companies in that particular region. Are There Any Benefits Of Trading With IIROC Forex Brokers? IIROC regulated brokers do provide an extra sense of security while trading the Forex markets with a huge amount of capital. The CIPF program that offers protection for up to $1 million as the protected trading capital is certainly one of the best guarantees provided by any regulatory organization in the world. Even the FCA of UK limits the amount of compensation to just around $50,000, which makes it hugely attractive for traders to count on their brokers to honor their agreement with their clients. IIROC imposes several restrictions on trading, which further requires Forex brokers in Canada to adhere to several conditions to be able to receive an IIROC license. Brokers might find it hard to conform to these regulations in a profitable manner, but the trader gets to enjoy several trading benefits that enable them to be assured of an excellent trading environment that is free from any financial frauds or malpractices. The option of trading with any broker of choice is another privilege enjoyed by Canadian investors; however, some rules prevent traders from investing in non-regulated brokers. Canada is also considering the proposal of bringing together its different regulatory organizations under a single roof for a streamlined and a more efficient regulatory framework, which can change the present Forex trading environment significantly. Until then, the Canadian retail Forex trading market remains open for international brokers through several different means.